JSW Infrastructure Limited and Anr Vs. Kakinada Seaports Limited and Ors. Respondent: Kakinada Seaports Limited and Ors. It would also be pertinent to mention that specific cargo in this very Policy has been defined to be (i) containers, (ii) liquid, (iii)dry bulk. Letter of Award was issued in favour of the appellant of the first Consortium by the Paradip Port Trust on 29.02.2016. 4. Aggrieved by this action, the second consortium filed a writ petition before the Orissa High Court. The submission of unsuccessful bidders was that since the first consortium was already operating a berth for dry cargo it could not have submitted its application to bid for the berth in question which is also admittedly meant for dry cargo. It was contended that as per the policy quoted above, if a private operator is operating a berth he cannot be allowed to bid for the next berth for handling the same cargo in the same port. This contention of the original writ petitioners was accepted by the Orissa High Court which interpreted the Policy clause by holding that the word “next” in the Clause indicated that a private operator cannot take part or bid for next successive berth for the same cargo. 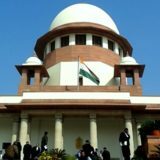 The High Court, therefore, held that the application for the first consortium JSW Infrastructure Limited, was wrongly considered and consequently set aside the award of Letter of Award in favour of the first consortium and further directed that the Paradip Port Trust may either accept the single remaining bid of the second consortium of Respondent Nos. 1-3 after negotiating the price which should not be less than the price offered by the consortium of JSW Infrastructure, or it may invite fresh bids for the berth in question. 6. We have heard learned senior counsel for the appearing parties. The contention of Mr. Kapil Sibal, learned senior counsel appearing for first consortium is that the High Court has misinterpreted the Clause in question. According to him a plain and simple reading of the Clause clearly indicates that this Clause will only apply when a single private berth in port for a specific cargo is being run by a private operator. He submitted that in the present case there are as many as 16 berths in Paradip Port Trust, out of which 8 are being run by the Paradip Port Trust. One dry cargo berth is being run by the Indian Oil Corporation, a Public Sector Undertaking, 5 are being run by private operators and one was being run by the appellant. Letter of Award for another berth was issued in favour of the first consortium, which is the subject matter of dispute. He submitted that the purpose of this clause is to avoid monopoly and the judgment of the High Court is erroneous because it does not do away with the monopoly but only restricts a private operator from bidding in the next successive berth for the same type of cargo. Dr. A.M. Singhvi, learned senior counsel appearing on behalf of Paradip Port Trust submitted that the employer i.e., Paradip Port Trust is best qualified to interpret the terms and meaning of the terms of the tender and the High Court should not have interfered in the decision taken by the Paradip Port Trust. On the other hand, Mr. Gopal Subramaniam, learned senior counsel for the second consortium submitted that the word “next” in the Clause cannot be treated to be superfluous and, according to him, the clause which is the subject matter of interpretation in this case clearly envisages that the private operator operating a berth cannot bid for the next successful berth for similar type of cargo. This view has consistently held the field and was recently reiterated in Central Coal Fields Limited and Another vs. SLL-SML (Joint Venture Consortium and Others). 8. On a bare reading of the Policy Clause some weightage and meaning has to be given not only to the word “next” as done by the High Court but also to the words “only one private operator” appearing in the opening part of the Clause. The words “only one private operator” cannot be treated as surplusage. The entire clause has to be read as a whole in the context of the purpose of the policy which is to avoid and restrict monopoly. In our opinion, this Clause will apply only when there is one single private operator in a port. If this single private operator is operating a berth, dealing with one specific cargo then alone will he not be allowed to bid for next berth for handling the same specific cargo. The High Court erred in interpreting the clause only in the context of the word “next” and ignored the opening part of the Clause which clearly indicates that the Clause is only applicable when there is only one private berth operator. It appears to us that the intention is that when a port is started, if the first berth for a specific cargo is awarded in favour of one private operator then he cannot be permitted to bid for the next berth for the same type of cargo. However, once there are more than one private operators operating in the port then any one of them can be permitted to bid even for successive berths. In the present case, as pointed out above there already 5 private operators other than the first consortium. 9. We may also add that the law is well settled that superior courts while exercising their power of judicial review must act with restraint while dealing with contractual matters. 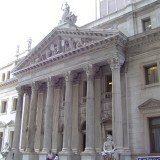 A Three Judge Bench of this Court in Tata Cellular vs. Union of India held that (i) there should be judicial restraint in review of administrative action; (ii) the court should not act like court of appeal; it cannot review the decision but can only review the decision making process (iii) the court does not usually have the necessary expertise to correct such technical decisions. ; (iv) the employer must have play in the joints i.e., necessary freedom to take administrative decisions within certain boundaries. “14…..a mere disagreement with the decision making process or the decision of the administrative authority is no reason for a constitutional Court to interfere. The threshold of mala fides, intention to favour someone or arbitrariness, irrationality or perversity must be met before the constitutional Court interferes with the decision making process or the decision. The view taken in Afcons (supra) was followed in Monte Carlo Ltd. Vs. NTPC Ltd. . Thus it is apparent that in contractual matters, the Writ Courts should not interfere unless the decision taken is totally arbitrary, perverse or mala fide.